Playing with Papercrafting: Country Home for Newsletter Tutorial and Stampin' Storage is Coming Soon! Have you ever wanted to be able to create the watercolour look on your cards? It's really not that hard and my latest newsletter tutorial is all about helping you look like you've been doing it all your life. 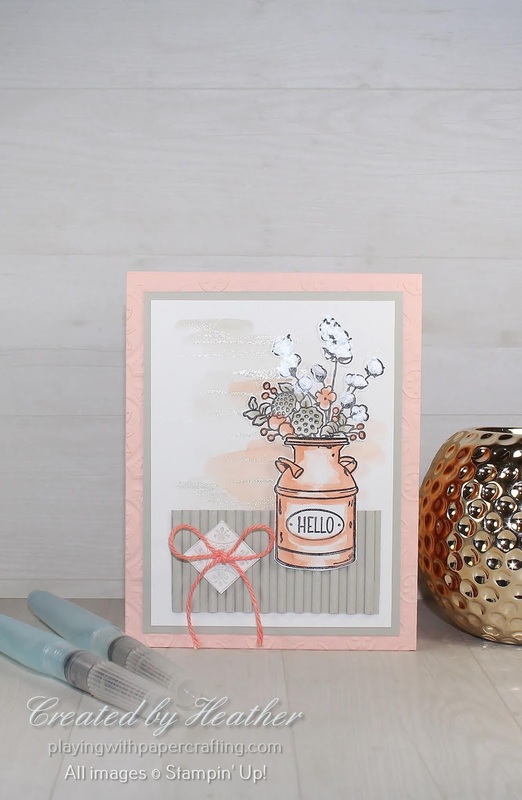 I'm not going to give away a lot of info about the material and products used in this card, because you'll find all that out in the tutorial. The techniques you will learn are layered watercolour background washes and layered watercolour shading. I've also included some Shimmer Paint in the mix here. 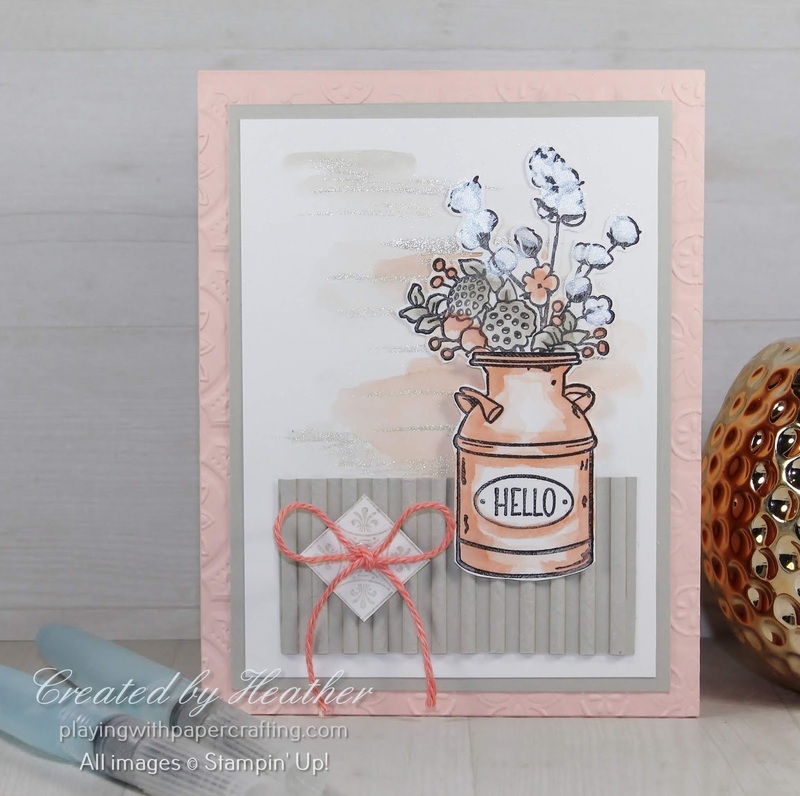 There is lots of texture involved in this card design including two Dynamic Embossing Folders. I always think that texture really adds that extra 'je ne sais quois' to a card design. To sign up for my monthly newsletter, (and I truly try to keep my correspondence to once a month, unless there is a surprise promotion that comes up mid-month that I think all my customers and readers would want to know about, but that is the exception rather than the rule) simply enter your email address in the field below and click on Go. It is easy to unsubscribe from my email list whenever you desire, and there is a link to unsubscribe on every email I send. 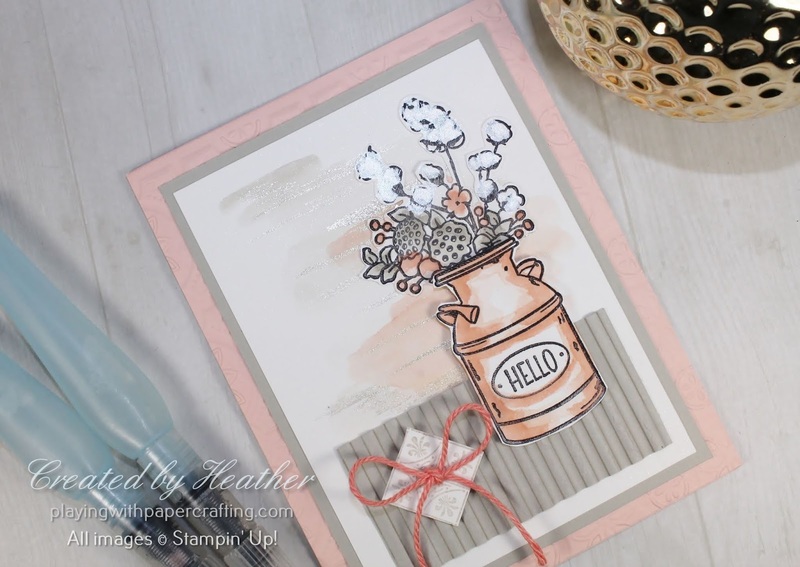 I have some VERY exciting news from Stampin' Up! Stampin' Storage is coming April 1st. Dedicated modular storage for our new stamp pads our Stampin' Write Markers and our Stampin' Blends, plus Reinkers and other things you could make of it! 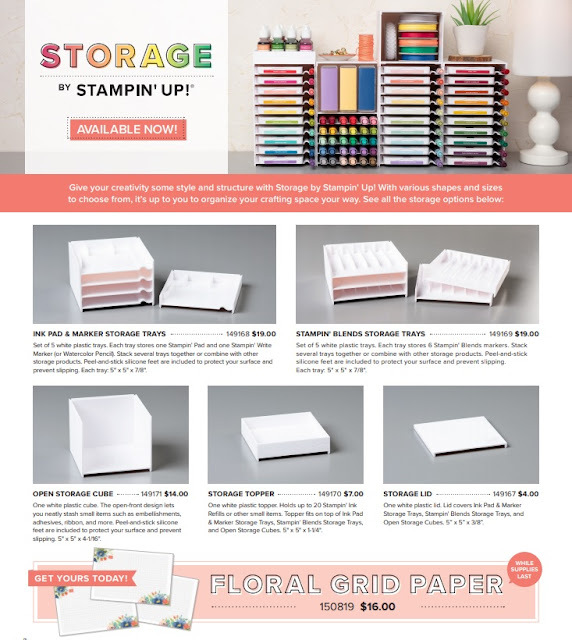 Start planning your new organized craft room now, and be ready to place your orders starting Apr. 1! !